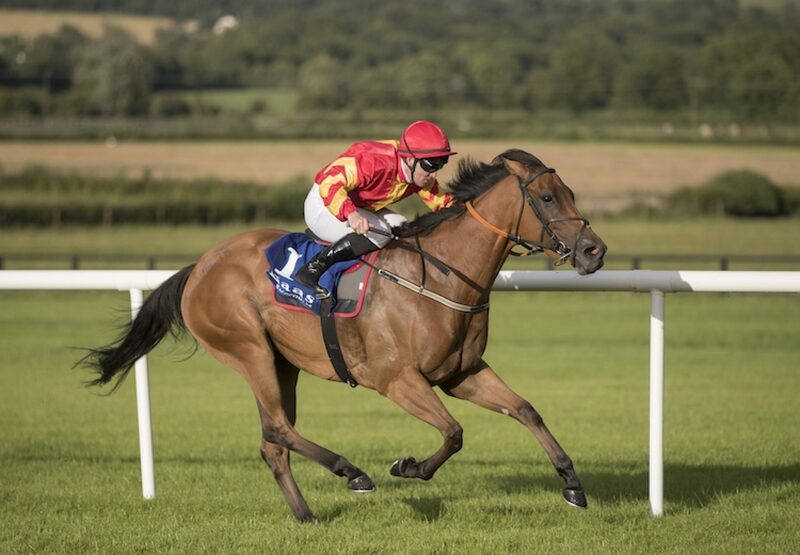 Trainer Joe Murphy has a Group 1 target in mind for Pour Moi filly Only Mine (4f Pour Moi-Truly Mine, by Rock Of Gibraltar) after she enjoyed her fourth black-type victory at Naas on Wednesday night. The four-year-old, bred by the late Marguerite Weld, overcame a bad draw to win the six-furlong Listed event by a length and Murphy has his sights set on the G1 Haydock Sprint Cup. “She was always travelling well and I think she is improving all the time. She will probably go for the G3 Phoenix Sprint Stakes at the Curragh on August 13, and then we will think about the G1 Haydock Sprint Cup. "Anything bar extremes in the ground is fine for her and she is very genuine and very consistent. I love her to bits and she never runs a bad race, and is building up a fine pedigree page."